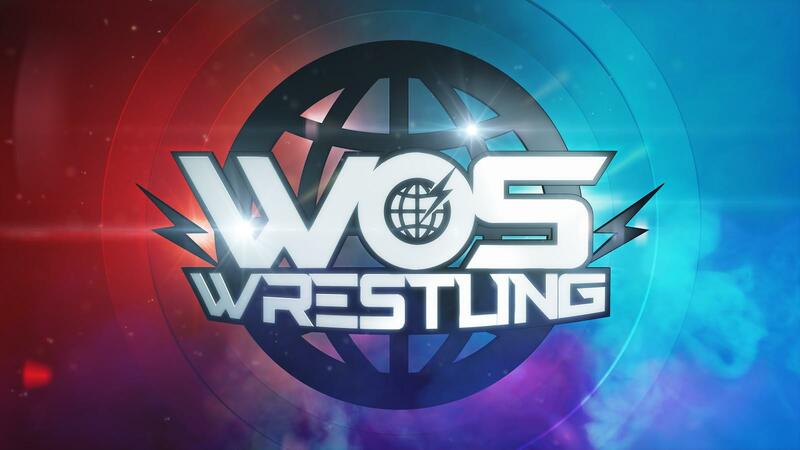 Recorded at the ITV WOS Wrestling press conference at MediaCityUK in Salford, here's our interview with veteran of the British and European wrestling scene, Johnny Moss. ATPW - How did you performing on the WOS Wrestling on New Year's Eve come about? Who contacted you about appearing? Johnny Moss - Well, it was as simple as this. I had a phone call one day from the people at ITV, asking if I'd like to be part of the rebirth of WOS Wrestling. I said "Absolutely". At first, I was sceptical because after being around for twenty years, you get all these things "This is gonna happen, that's gonna happen" and they never pan out. I've been involved in so many failures, that have never got off the ground, I was sceptical. So when it actually became, "Oh my God, this is actually going to happen", it was an amazing feeling. So, you're one of the guys on WOS who have been wrestling for the longest times, so you've had one of the longest journeys to this point, how did it feel to finally get to work with a company like ITV? Yeah, nearly twenty years. It made it all worthwhile. I never ever thought this day would happen. In all honesty, I have told people in the past, I don't think we'll ever see British wrestling back on national television. So to be a part of it is overwhelming for me, especially with being such a huge fan of World of Sport. I collected all of the videos, all the bootleg videos, everything and studies it. I became friends with some of the old guys, Marty Jones, Johnny Saint and to be able to follow in their footsteps on the special on New Year's Eve meant a lot. It's took twenty years but if you want something, you'll stick at it. I think it meant a lot to the fans as well who had wanted to see British wrestling on the telly, because they knew how good the performers were and to see you guys get the opportunity it certainly meant a lot to people like me. It was great for the fans who stuck with British wrestling for so long. Now, is probably the greatest time to be a wrestling fan in Britain, with everything that's going on. So much happening. From when I first started it's like chalk and cheese. It was nothing like this. Nobody could have imagined it would be like this. The fact that WWE is involved in this country now, which I think's great, I think it's great for everybody what's happened with WWE and World of Sport and everything else, the other promotions. There's lots of other promotions that are doing well. It's only good for everybody. It's good for the fans because there's more choice, it's good for the wrestlers because there's more work. So, you mentioned watching the original World of Sport, how do feel that the special from New Year's Eve compared to the original? To me they're two totally different animals, that are that far apart, you're talking over thirty years and things do evolve and things do change. The only similarities are that there is wrestling on both shows. It was very nice to pay tribute to the people that paved the way for us, but to me it's totally different. Things have changed so much, it'd be very different to back to that old style of rounds and everything else, which I'm a huge fan of, but not everybody would be sitting their on a Saturday afternoon with the kids. Things do evolve. Would you like to see the Rounds come back, perhaps as a one-off or a gimmick match? Maybe, I think it would have to be a gimmick match and it would have to be explained why we're doing it. If it was every week I think people would lose interest, especially with the rounds. There are a lot of guys who could that style of match, no problem, but you've got to think what would appeal to the masses. That's what people have to realise, it's a show on ITV on a late Saturday afternoon, appealing to the masses. It's gonna have some good wrestling on there, but it's appealing to the masses. That's right, Johnny Moss School of Pro Wrestling up in Egremont, Cumbria. I've had that open for just over two years now, it's been great, I wish I'd opened it earlier! I've had such a great response and people travelling from all over the world to come and train there. If someone was looking at training to be pro wrestler, what could they learn from coming to Johnny Moss School of Pro Wrestling? 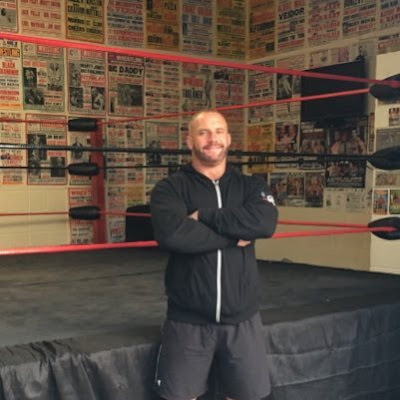 There is a lot of schools around the country, but [those who attend my school] learn all the knowledge that I've picked up, over my years of travelling, wrestling some great people and the places that I've been. I can show them the other way of doing things. I've been to the Performance Centre, I've coached there, I know what they're looking for. I know what World of Sport are looking for. I think I could certainly give them a very good foundation in wrestling from just starting out or even if they have wrestled a few years. I've had people who've been wrestling for four, five, six years come and see me and they've learnt a lot of new stuff. I think I've got something to offer everybody. You never stop learning in this job, but look at Jeff Jarrett, he's been doing it nearly twice as long as me, imagine how much experience he's got! With IMPACT Wrestling coming in, how do you think that could change the product from what we saw in the special? I think it's going to be very similar to what we saw on New Year's Eve, to be honest, I don't think it will be too different. It's very good to have someone like Jeff Jarrett involved, who, of course, has a long and storied history with wrestling and promoting, plus he's worked with TV companies before. It's very good to have his knowledge on board. I think, there will be some small changes, but I think it'll be very similar to what we saw on New Year's Eve. A big thanks to Johnny Moss for giving us the time for this interview. WOS Wrestling tapes for TV at the Preston Guild Hall on 25/26 May. Tickets go on sale on 7th April at 9am.